Here’s another one, actually I got this one about a year ago, it seems it’s older version of 116 in 1 cart. Almost all of the games are the same and it only has two games (that are hacks anyway) that are not present on 116 in 1 cart (slot 4 – Super Fighter S 99 and slot 10 – Harvest Moon 4). Additionally three games that don’t work in 116 in 1 cart (Cyraid, The Adventures of Star Saver and Batman Return of the Joker) work on this cart. P.S. Again, I’m not an expert in Asian alphabets, aka I have no clue, so information in language is my estimation. I hope nobody gets offended if I guessed wrong on some game. 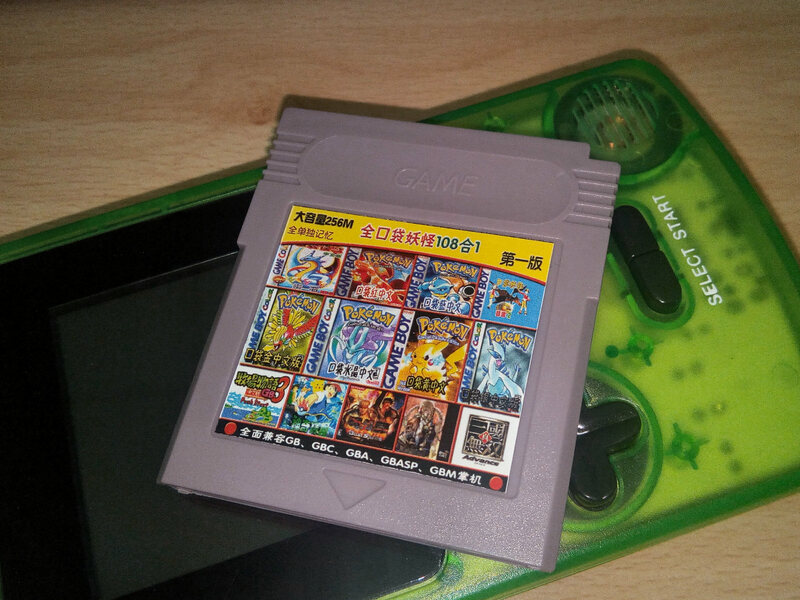 Posted on May 6, 2016, in Uncategorized and tagged Bootleg cart, GameBoy, GameBoy Color. Bookmark the permalink. 1 Comment.